Warning: your browser isn't supported. Please install a modern one, like Firefox, Opera, Safari, Chrome or the latest Internet Explorer. Thank you! Log inLog in to ACORN Wiki. | RegisterSign on to ACORN Wiki. 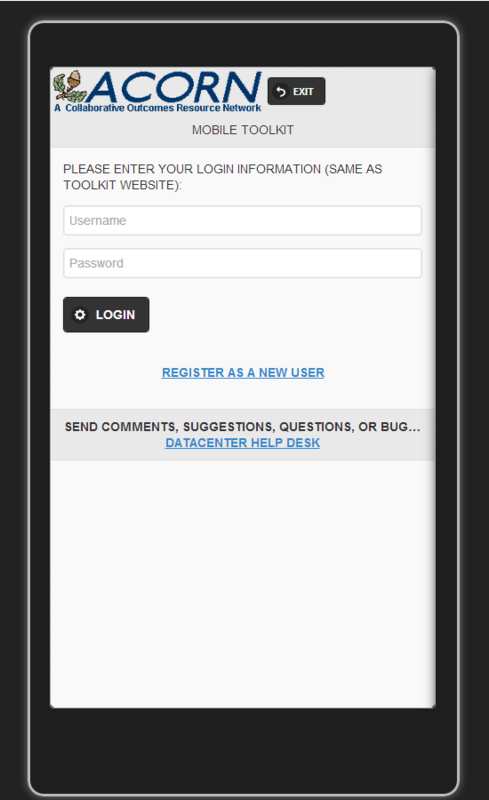 Upon launching the application you should see a screen that looks similar to this. Log in using your regular credentials. Begin by clicking on the "Sync" button, which I've outlined in green in the below picture. Once the app has had a chance to upload your data, you will be able to change the date filter (outlined in blue) and click 'Search'. 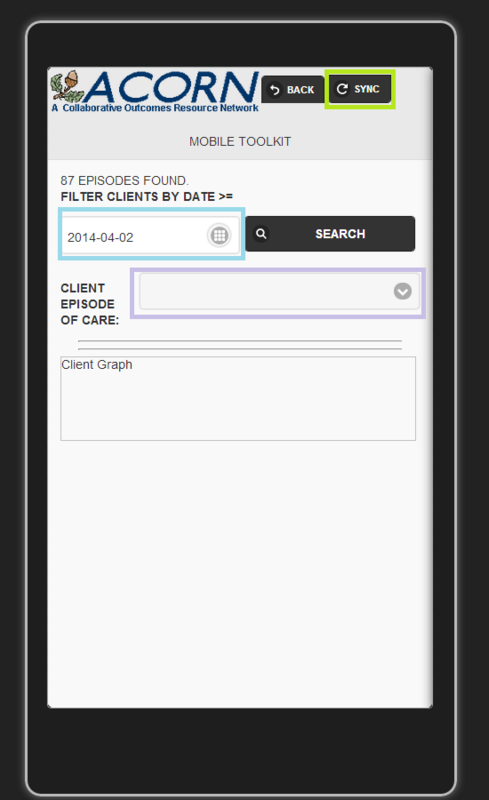 Once that's done, click on the "Client Episode of Care" dropdown menu (outlined in purple). 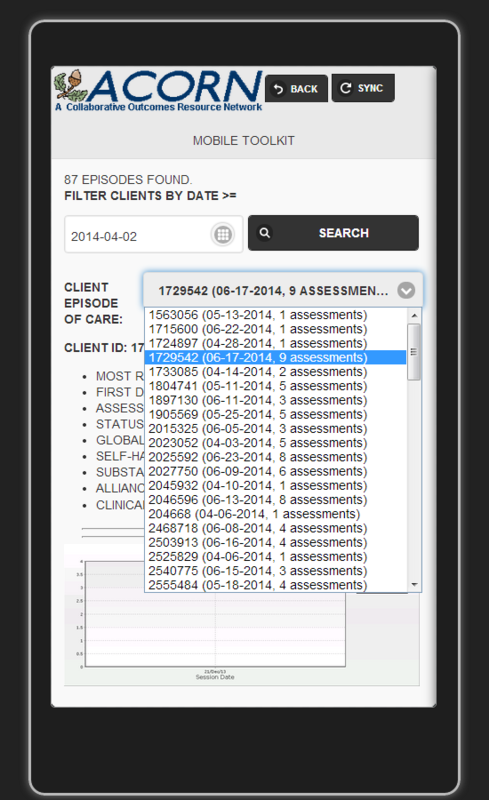 This will allow you to choose which case sets you would like to view. Upon choosing a particular case, you will be given relevant data and access to the graph for that individual.